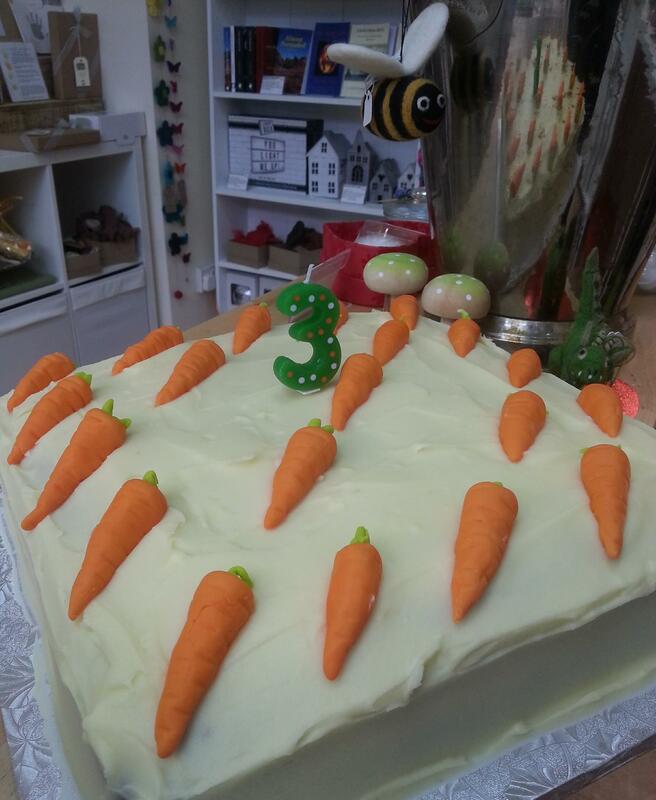 What links a delicious homemade carrot cake, a jam-packed Jam Jar and a well-attended library event? The short answer is: “community” but let me explain…. In the past week I’ve hosted and attended events I’m involved with here in North Tyneside. Last Sunday 12th February I co-hosted the first Free as a Bard of the year at Whitley Bay’s community cinema, The Jam Jar. 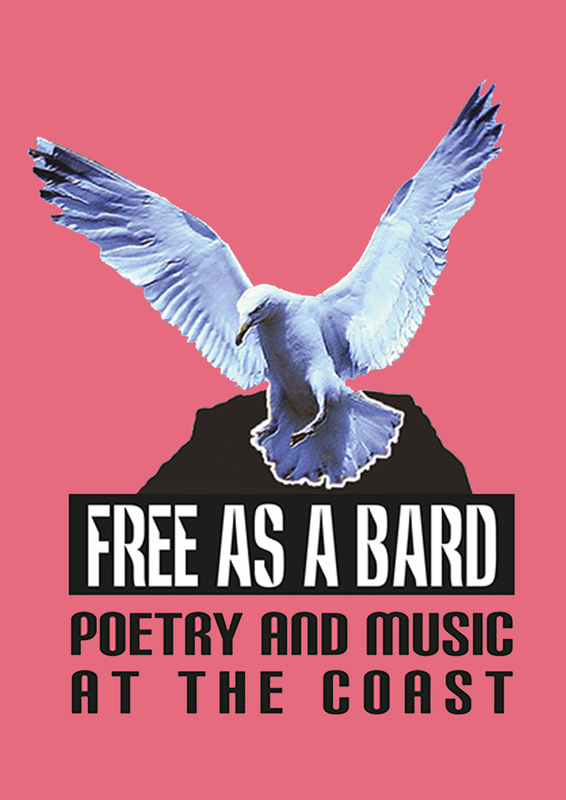 The event featured poets Jo Reed, Owen Brecon aka David Farn and musician Chris Harrison and, like most Free as a Bard evenings, it was standing room only. I counted over 50 punters. Okay, we’re not talking The Beatles at Shea Stadium here but the numbers are jolly good for a Sunday evening spoken word and music evening. Two days later on Tuesday 14th February Gail Curry and I hosted our regular Poetry with Friends event in St Paul’s Centre in Whitley Bay where talk turned to Happy Planet Creative Arts CIC’s third birthday celebrations. Happy Planet turned three yesterday (Saturday 18th February) and as I type Gail is welcoming friends old and new through the door of Happy Planet Studio and Gallery on Ilfracombe Gardens, Whitley Bay. Gail’s hosting a weekend-long birthday party which includes the divine carrot cake I mentioned. Yesterday I co-hosted the second North Tyneside Writers’ Circle with my Next Page colleagues Jennifer C Wilson and Sandy Chadwin. This was our second Writers’ Circle and once again it attracted a healthy crowd of writers. We counted 22 writers at this free to attend event in North Shields library. 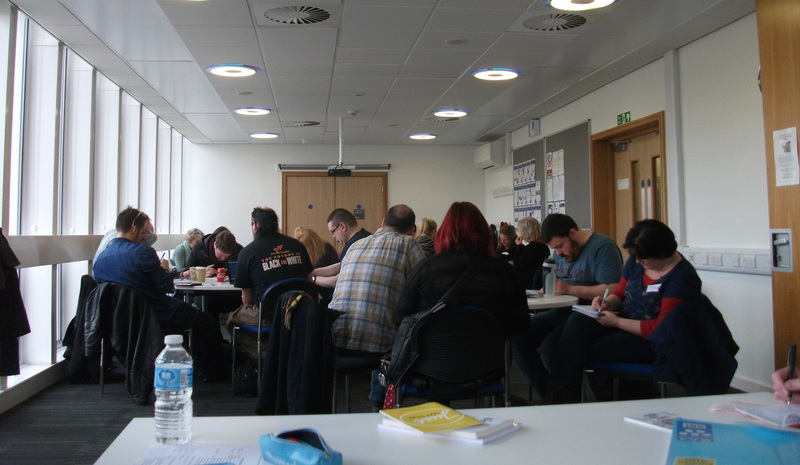 The Writers’ Circle is supported by North Tyneside libraries. So what’s the link I alluded to at the start of this blog? It’s one person I won’t name (to spare blushes) but who attended Free as a Bard, Poetry with Friends, North Tyneside Writers’ Circle and made that gorgeous carrot cake I keep mentioning. I’m talking about one person who revels in the local community and supports the area’s artists, musicians, writers and venues. North Tyneside is filled with like-minded souls who support local artists, writers and venues. I’m one of those community-minded souls and it’s gratifying to be in contact with others who share my vision. Happy Birthday, Happy Planet and thanks to all our supporters.